Hello friends, we have great news for all those aspirants who are looking for a Newest Government Job in Goa Shipyard Limited. The GSL Department has published the official advertisement for the Goa Shipyard MTS Recruitment 2018. In this post, we provide all the details related to the Goa Shipyard Vacancy 2018 in the following segment of this post. The aspirants may apply for the notification through the online mode of an application form. You may apply for the Vacancy from the official web portal of the Goa Shipyard Limited Department which is www.goashipyard.in. For extra information, you may check our careerjob360 official portal for latest admit cards, results, Central & State Govt. Jobs and stay in touch with us for further reference. Goa Shipyard limited Department has recently dispatched the employment bulletin for Goa Shipyard Ltd. Vacancy 2018 for filling up 35 eligible aspirants at MT, OA, Asst Supdt & Other Posts in the department. Goa Shipyard Limited has offered a fabulous chance for all the eligible and well deserving aspirants. Eligible and proficient contenders may apply for this Goa Shipyard Office Assistant Notification 2018 from the official website of the organization. Hence, all the desired and eligible aspirants are highly advised to go through the Online application process on or before the given closing date i.e. 08th November 2018. Moreover, the relevant information related to the Goa Shipyard Office Assistant Jobs 2018 such as eligibility criteria, age criteria, application fees, pay scale & the how to apply online for the vacancy is described in the below sections of this article. Goa Shipyard Limited is an Indian Govt owned shipbuilding company situated on the West Coast of India at Vasco da Gama, Goa. It was formed in the year 1957, originally by the colonial govt of the Portuguese in India as the “Estaleiros Navais de Goa” to build barges to be used in Goa’s growing mining industry, which took off after the formation of India’s blockade of Goa in the year 1955. In the wake of Portugal’s defeat & unconditional surrender to India following the year 1961 Indian annexation of Goa, it was requisitioned to manufacture warships for the Indian Navy & the Indian Coast Guard. Goa Shipyard Limited is undergoing a modernization of its yard to adapt to the newest technology in shipbuilding. To this purpose it is negotiating with well-known shipbuilders for an management to collaborate. To date it has built 167 vessels, including barges, offshore patrol vessels, tugs, landing craft, and other vessels for the Indian Navy & Coast Guard and for export to countries like Yemen. Candidates must have a minimum first class degree in any discipline with 2 years full-time regular basis. For more details, candidates must visit the official notification of the recruitment. Age Limit: Maximum age limit of the candidates is 40 years. Application Fee: There is no application form fee which is decided by the department. Selection Process: Selection of the candidates will be based on the Written Test or Trade Test & Practical Test /Interview. 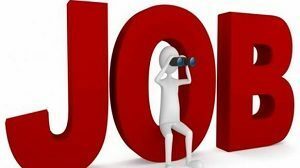 How to apply for the Goa Shipyard MTS Recruitment 2018? First of all, candidates need to go to the official website of the Goa Shipyard Ltd that is goashipyard.in. Look for the official notification and then download it. Read all the information available in the application form very carefully. Now look for the Goa Shipyard Multi Tasking Staff Recruitment 2018official link o apply online. Fill all the entries in the application form very carefully. Upload the passport size photo and the scanned copies of the required document in the required format. At last, take a print out copy of the application form. Keep it safe for any future reference.